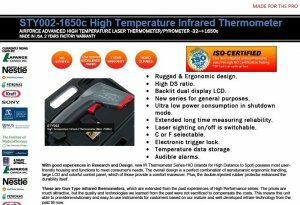 With good experiences in Research and Design, new IR Thermometer Series-HID (stands for High Distance to Spot)posses most user-friendly housing and functions to meet consumer's needs. The overall design is a perfect combination of aerodynamic barrell ergonomic handling, large LCD and colorful control panel , which of those provide a comfer maneuver. Plus , the double-injected rubber protector enhanced the durability itself. 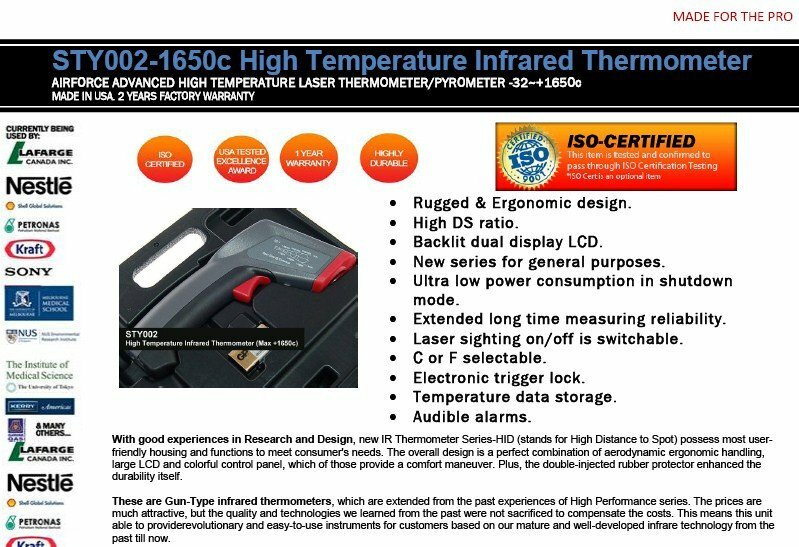 STY002 AIRFORCE ST677 Gun-Type infrared thermometers, which are extended from the past experiences of Hight Performance series. The prices are much attractive , but the quality and technologies we learned from the past were not sacrificed to compensate the costs. 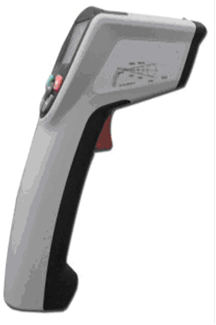 This means Sentry likes to provide revolutionary and easy-to-use instruments for customers based on our mature and well-developed infrared technology from the past till now.